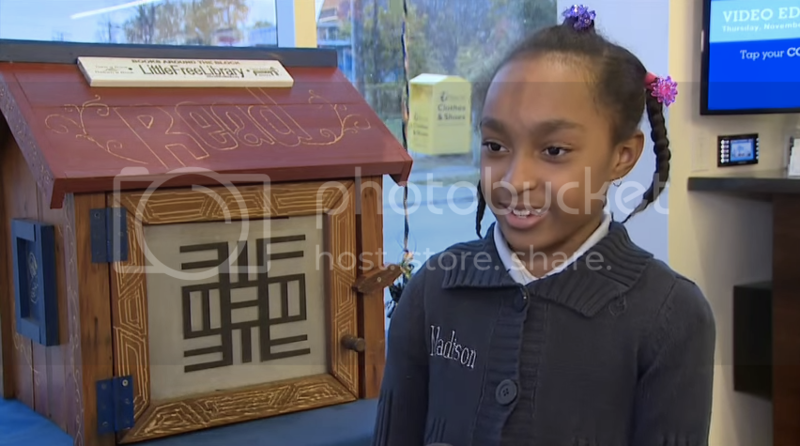 8-year-old Madison Reid of Cleveland is quickly becoming an Internet star after being interviewed by WKYC Channel 3 at a November grand opening for a new Little Free Library. She was there with her mother, Tracy Reid, who is a steward for one of five Little Free Libraries that PNC has funded for the Fairfax neighborhood. Madison's personality is adorable, and it's clear she was just waiting for her moment to shine.